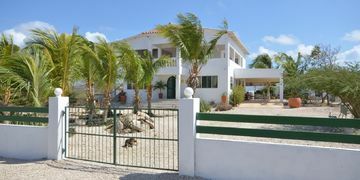 Secluded and private, but still only a couple of minutes away from Kralendijk. 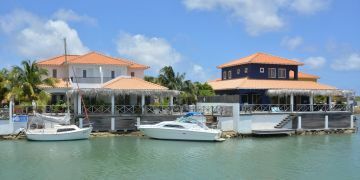 This waterfront semi-detached villa has its private landing stage for a small boat. 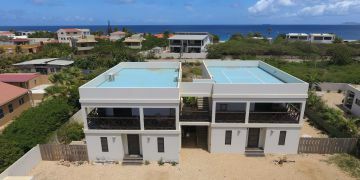 The waters in front of this villa are connected with the Caribbean Sea via the marina near Plaza Resort Bonaire. 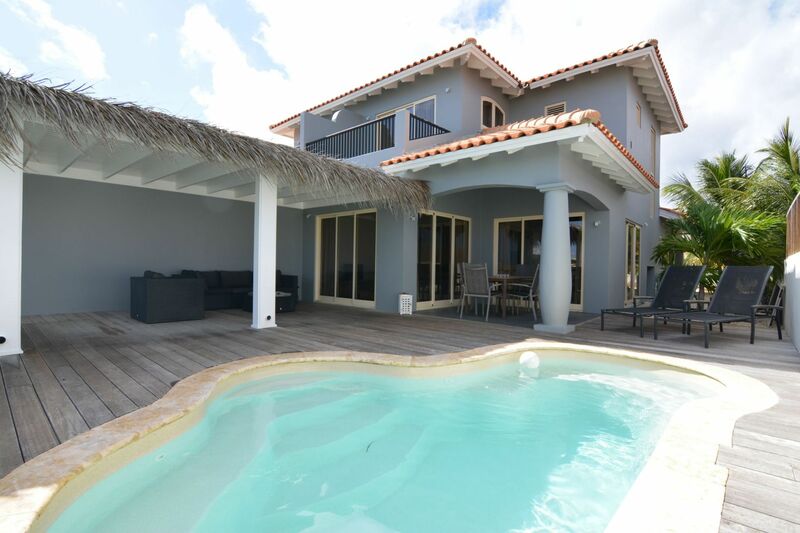 A covered porch and a private pool all look out over the waters in front. A great place to sit back and relax. Because of its location, it’s catching a great breeze so you can cool down both in- and outside at this modern villa. Garden: lush tropical garden with a beautiful mix of palm trees and abundant vegetation. Entrance via walk-in and drive-in gate to front door, hallway with access to toilet, garage and stairs to second floor, living room with open kitchen design, access to sundeck, pool and covered terrace, docking pier for small boat at waterfront. Second floor; hallway with access to master bedroom with en-suit bathroom, walk-in closet and balcony at waterfront, second bedroom with en-suit bathroom and balcony at front side. air conditioning in living room. Registered at the Land Registry Office Kadaster, number 4-G-2985A8, ending on October 1st 2067. This villa is subject to a Home Owners Association (HOA). HOA fee incl.exterior paint fund; approx. US$ 188.- per month. Please contact us in case you wish to receive further information about this HOA.